We hope it’s a beautiful summer wherever you are. 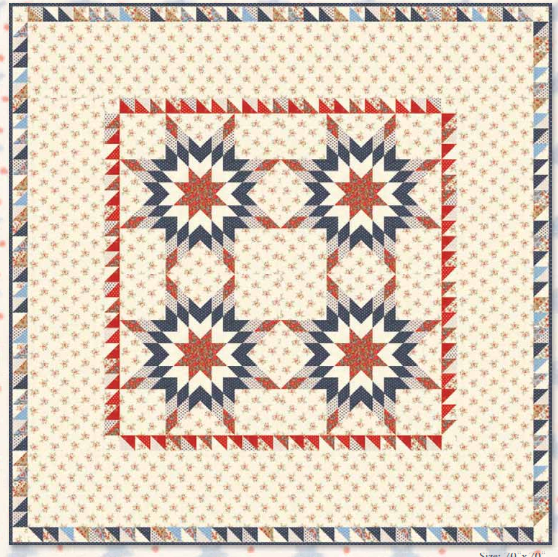 We have just celebrated the 4th of July so I thought I’d share a patriotic quilt today. This patten would also be lovely in another color scheme. 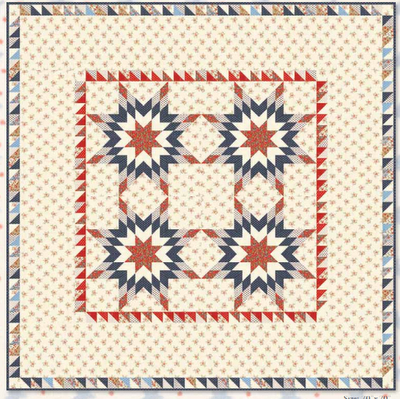 This entry was posted in Ambitious, Quilt and tagged American Banner Rose, Minick and Simpson.